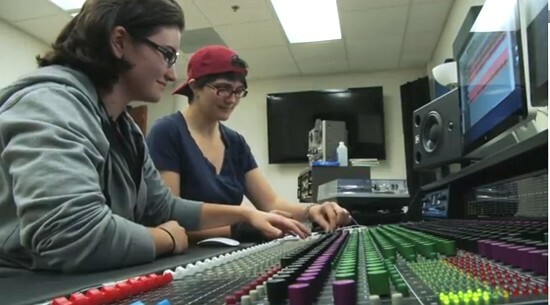 In response to rapid changes in the field of audio engineering, the University of Rochester is combining its expertise in music and engineering to help students succeed in the redefined industry. The New York State Department of Education has recently certified the University’s new undergraduate audio and music engineering major, which is being offered to students for the first time this academic year. For example, Bocko said the growth of the video game industry in recent years has created numerous opportunities for audio professionals. Market research firm DFC Intelligence reports that the global market for the industry has grown to $82 billion this year, up 191% from $23 billion in 2003. “Sound effects and music are big parts of the gaming experience and one of the challenges to the industry is to find efficient ways to produce non-repetitive music and sound effects for the many hours of screens in a typical video game,” Bocko explained. Students enrolled in audio and music engineering will develop their knowledge and skills in recording and sound design, acoustics, electronics, digital signal processing and computer programming. Bocko expects that background will help prepare students for professional opportunities in any field that incorporates audio, including the music, film, and broadcast industry, consumer electronics like cells phones and home entertainment, professional audio and musical instrument manufacturers, computer and Internet industries like Apple, Google, and Microsoft, and a lot of areas that you might not think of like law enforcement. The idea for the new major has taken shape over many years since Bocko took part in the University’s Bridging Fellowship program, which allows faculty members to spend a semester as a student in a different part of the University. As an amateur bassoonist, Bocko chose the Eastman School of Music, where he spent his time studying music theory with Professor of Music Theory Dave Headlam. Bocko found that Headlam shared his excitement for leveraging the University’s strengths in music and engineering to create a signature program that prepares students for the evolving field of digital audio technology. Bocko and Headlam hope to attract both young and veteran professionals to teach courses and lead workshops for students. Among the new faculty members is Steve Roessner, a Ph.D. candidate in the University’s Department of Electrical and Computer Engineering, who won a Grammy last year as a recording engineer in the category of “Best Solo Instrumental Performance (without Orchestra)” for his recording of organist Paul Jacobs. Even though the program had not yet officially been announced, it already has attracted around 15 new majors. Starting in the fall of 2013, the audio and music engineering major will be housed in the Ronald Rettner Hall for Media Arts and Innovation, now under construction between Wilson Commons and Morey Hall.